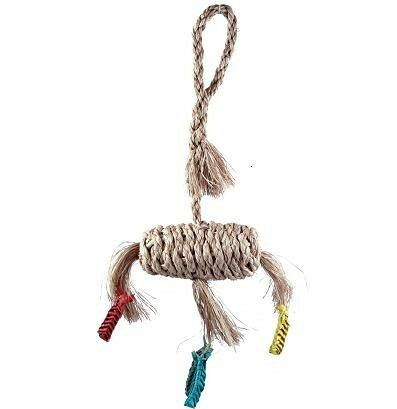 This swing is fun to climb on,chew up and made of very tough abacca rope. Woven over a palm fiber core so they are durable and all natural. 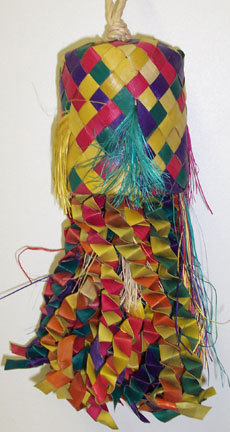 Small palm fiber worms dangle from fiber tassles to tempt your bird's taste buds. 18" long x 6" wide. All natural and made by Planet Pleasures.